Let me start by saying that I’m very excited to publish my first review. I will be posting, or at least attempting to post, every Friday as a contributing writer for Beersighted. Today, I will be tackling Purple Haze. A light, fruit/wheat beer brewed just outside New Orleans, Louisiana, in the town of Abita Springs. Don’t let the 4.2% abv fool you, this is much more than your average light beer. Crisp and refreshing, the raspberry puree that’s added after the filtration process does a nice job keeping the wheat from taking over, and adds the perfect amount of sweetness. When I think 4.2% abv, I immediately think of Bud Light, Coors Light and Michelob Ultra. These are the kind of beers that will get you full before they get you drunk. Not to be confused with these volume beers, Purple Haze combines a light drinkability with the flavor of a heavier, small batch craft beer. Honestly, I’m not sure if my lack of descriptive words is due to this being my first review, or because the beer is just THAT good. 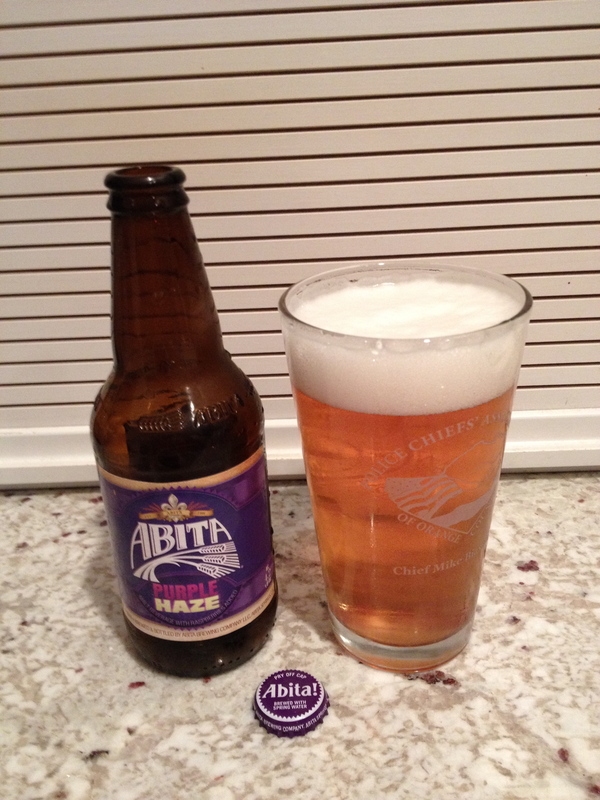 This entry was posted on July 28, 2012 at 1:16 am and is filed under Wheat with tags Abita Brewing Company, Purple Haze, Wheat. You can follow any responses to this entry through the RSS 2.0 feed. You can leave a response, or trackback from your own site. I dig Purple Haze but avoid it for all the reasons you liked it. I drink them too fast! I hear ya haha. It’s almost too tasty for its own good!